Having gained considerable experience developing five of my own accounting practices and spending the next two decades individually assisting over 2000 accountants develop their own practices, there are a few basic principles accountants can observe to provide themselves the greatest opportunity for success. The best way for accountants to succeed in starting their own Accounting and Tax CPA practice is by providing themselves with the greatest opportunity for that success. This can be done by remembering that the basic principles for a successful practice are good clients together with the basic tools to service them. Many accountants seeking to develop their own practice position themselves with large amounts of unnecessary overhead undermining their opportunity for success. Unnecessary costs can be deferred until they become necessary. Obtain only necessary items to service the initial clients. It is important to keep the initial overhead as low as possible to create a positive cash flow quickly to finance the development of the practice. 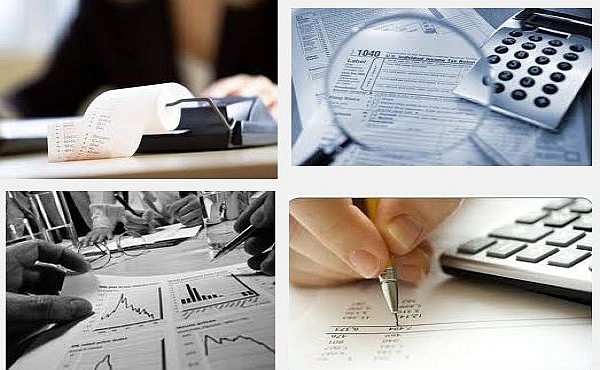 When starting an Accounting and Tax CPA Firm, it is recommended that accountants start from their home. In today’s technological world, clients are very accepting to accountants working out of their homes. In some respect, it provides the clients with the perception that they are receiving a greater value. They feel if the accountant is incurring less overhead, perhaps part of the savings is being passed on to the clients. By saving the cost of rent and other office expenses, accountants will accelerate their positive cash flow, which may be used for financing the expansion of the practice without going into debt. Once the cash flow is sufficient to support an office, then the accountant can decide if expansion into an office is warranted. Accountants who do work from home may also find they enjoy it so much that they may choose to forgo moving to an outside office. Another way accountants can maintain a low overhead is by avoiding unnecessary costly software. Numerous accountants procure very expensive unnecessary software to support clients they have yet to develop. There are extremely good software companies that provide an excellent product at a low to medium price range. Drake Tax Software is a very cost-efficient software program that has an excellent reputation. In the September 2011 edition of The Journal of Accountancy, the results of a software survey were published, and Drake Tax Software received an excellent score. Accountants who are starting their own Accounting & Tax CPA Firm are encouraged to pursue good software at affordable prices giving them the basic tools to service clients. There are many other simple ways accountants starting their own Tax and Accounting Firm can reduce startup costs. Simply the name that accountants decide on for their firms will reduce their initial costs. If accountants would use their first name, middle initial, and last name followed by CPA and/or Certified public Accountant, they may avoid DBA registration costs, bank charges, and filing fees. In addition, active licensed Certified Public Accountants have legal rights to practice public accounting under their own names saving them costs associated with fictitious names. Many times, Certified Public Accountants can choose fictitious names, which would diminish potential clients’ perceptions of them, which in turn would impede a start-up business. For example, a licensed Certified Public Accountant doing business as “Bay City Tax Service” or “Accounting & Tax Service” loses credibility. Prospective clients may perceive this company as uncertified and unlicensed. Accountants who are considering developing an Accounting/CPA practice and who are currently employed are encouraged not to terminate their employment in pursuit of starting their own Accounting & Tax CPA Firm. Instead, they should develop their practice concurrently while still employed. This can be a time-demanding decision when compared to terminating their employment and devoting full time to their practice; however, the sacrifice is well worth the reward. As the practice grows, accountants can grow with it and transition themselves full-time into their own practice without placing unnecessary financial pressure on themselves or on their families. In making that move to a full-time practice, accountants will find it easiest to transition full-time into their own practice in the month of January. January is the beginning of tax season, and along with it comes the beginning of revenue from income tax preparation. The increase in revenue will come right at the time the accountants need it the very most. It is important that accountants position themselves to begin marketing at the start of tax season to aggressively develop individual tax clients taking full advantage of their first tax season. In addition, January encompasses year-end work for many businesses, such as payroll and financial reporting. This will also add additional revenue to the accountants’ practices in the month of their transition. January is also the best month of the year to transition full-time into the practice because it may be the best month of the year for developing new businesses as clients. Most business owners resist changing accountants. It takes a very solid reason for a client to leave a predecessor accountant. Once a client makes the decision to change, usually he or she will not invoke the change until the end of the business year not desiring to have two accountants split a fiscal year. Accordingly, year-end is the most opportune time for approaching business owners, and it will make the transition into the full-time practice easier. Finally, when starting an Accounting and Tax CPA Firm, it is important to avoid marketing services as a commodity or product. This often leads to very low response and low quality of clientele. It also can be extremely expensive. There are volumes of accountants who pursue very expensive marketing programs offered by various companies and who are lured by difficult-to-enforce guarantees. Many of these programs are commodity driven. The accounting industry is not commodity driven; it is driven by trust and loyalty. An accountant’s marketing campaign must be driven by truth, honesty, and professionalism, which will enable a client to be more comfortable knowing that he or she is hiring an accountant who can be trusted. 1) Avoid unnecessary costs and expenses. 2) Consider starting the accounting CPA Practice from home. 3) Develop the practice alongside current employment. 4) Avoid marketing the firm as a commodity or product. Remember, opportunity starts with action. No action, no opportunity. Accountants who take action provide themselves with the opportunity to succeed. They should start their own CPA and Accounting Firms from home while employed. Their successful experience without jeopardizing their future will provide them the confidence and cash flow they need to enjoy the freedoms in ownership of an Accounting and Tax CPA Firm. For more information on starting an accounting practice or to learn more about Frank’s marketing techniques, please visit http://www.accountantsmarketing.com.